Home » NEWS » NEWS: Two Weeks To Election, Do You Think Wizkid Has Done So Much To Support Banky W? NEWS: Two Weeks To Election, Do You Think Wizkid Has Done So Much To Support Banky W? As we all know, it’s few weeks to election and everyone is finalizing plans and strategies to win. Politicians are looking to score some cheap points in order to gain some votes and win some supporters over. Banky W is in a deep problem here, he’s a novice, a fresher in the University of Politics and worse still, he’s contesting under a relatively unknown party. He’s been campaigning aggressively, pasting posters all around, using the power of social media to his advantage but we all know, most times, it’s not the hardworking person that wins. But that’s where Wizkid comes in. Banky W helped Wizkid greatly in his music career greatly, infact without Banky W, there wouldn’t be no Wizkid. Banky W really contributed a lot to the career ofWizkid, he devoted his time ,energy and all other resources in ensuring Wizkid becomes a superstar. At some point, Banky W had to sacrifice the growth of his own music career, had to delay his album that year just to make sure Wizkid succeeds. But since Banky W announced his ambition, what has WizKid contributed to help his erstwhile boss? A tweet? Wizkid, just a tweet to support someone who was very integral to the success of your music career? We saw how Davido took some very bold steps for his Uncle’s governorship ambition. He canceled his shows/concerts for that period, was available at his uncle’s road campaigns, was always giving us election updates on his IG and Twitter and at the end NYSC nullified his service because of this struggle. But since that tweet, Wizkid has done absolutely nothing and it shows a great extent to which Davidosupports his own people but Wizkid has this “I don’t care attitude” and rarely supports his “Day Ones“. So bad! 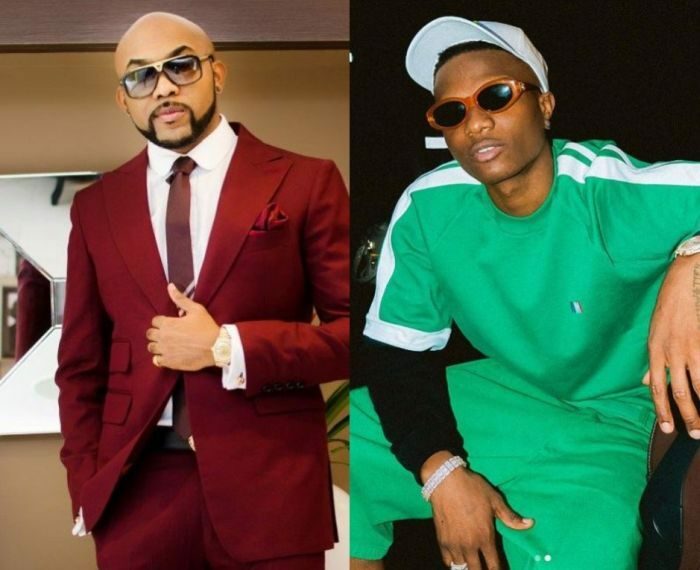 Two Weeks To Election, Do You Think Wizkid Has Done So Much To Support Banky W Compared To How Davido Supported His Uncle? Let’s have your thought on this..